While I’ve loved classics V For Vendetta and Watchmen, I’ve never delved into Alan Moore’s treatment of Jack the Ripper. 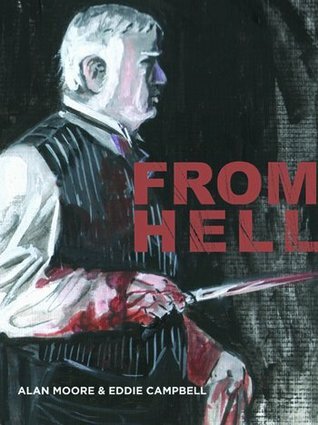 That’s all changing now, as From Hell is becoming my favorite graphic novel written by Moore. The art by Eddie Campbell, equal parts exquisite and sinister, has sent my imagination to 19th century Whitechapel–where I hope not to bump into a certain knife-wielding killer. I know, I know. I should have read this eons ago, but I’ve just recently got my hands on it–and am not letting go. Gillan Flynn’s novel about a missing woman has the perfect amount of suspense to get my heart racing before Halloween. Almost any Batman volume would be perfect for Halloween, as Gotham has scares all year round. 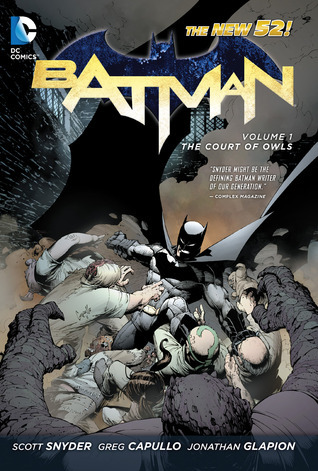 The Court of Owls, though, offers a new threat to Bruce Wayne. A series of murders have overtaken Gotham, and a secret society behind the deaths has selected Bruce as their next target. The owl and bat motifs woven throughout the book also add to an already dark and captivating read. Hey there: Thanks for these recommendations! 🙂 I thought you might be interested in my graphic novel “The Poet and the Flea” (Volume 1) about the poet-painter William Blake: https://www.kickstarter.com/projects/868711984/the-poet-and-the-flea-ode-to-william-blake-volume Please check it out and help spread the word! Thank you so much! —G. E.